How to Distinguish the Quality of LED Display Modules? How to distinguish the quality of LED display module? Look at the material. LED display module: Some LED display module manufacturers use low-cost flame-retardant paper boards or single-sided fiberboards as PCB boards for LED lights in order to compete at low prices. Because, the full glass fiber PCB board is too expensive. At first, there is no difference in the effect. If you are lucky, you can still hold it for half a year or eight months. Under normal circumstances, it will break due to moisture, UV damage, oxidation, etc., resulting in the scrapping of the entire LED module. High-quality LED display module must use double-sided full-glass PCB boards, although the cost is high, but the quality is guaranteed. IC: Observe whether the brand of the IC device used is consistent. What type of IC is used, and how many ICs are used to affect the quality of the board. Some merchants, in order to save costs, deliberately reduce the number of ICs when producing LED display modules, or mix with other brands of ICs. Different ICs, how to ensure the stability of the performance of LED module? Lamp beads and chips: With the naked eye, it is impossible to distinguish the quality of the lamp beads. It can only rely on long time testing, which is the aging test that experts say. 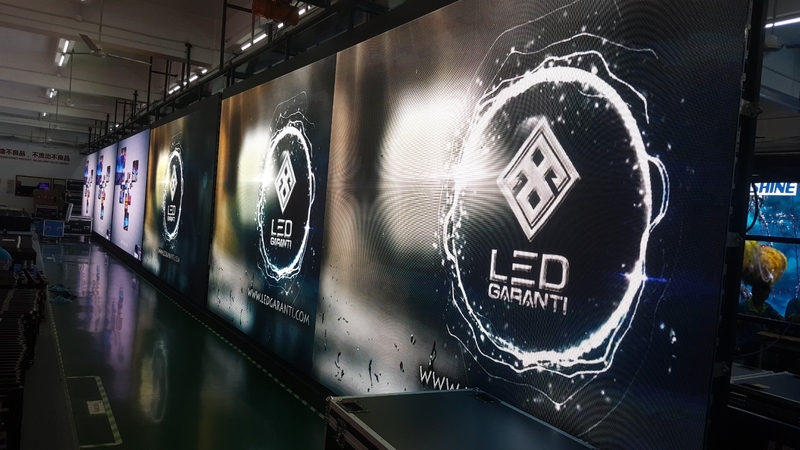 The practice of small workshops is to power on before leaving the factory to check whether the LED display is working properly and will not pass the long-term aging test. Because they can't afford this time and labor costs. How to distinguish the quality of LED display module? Specific inspection method introduction. Checking the appearance quality of the selected material. 1) Material of PCB and processing quality. 2) IC device brand and its consistency. 3) Luminous dot matrix quality. Checking specifications of circuit design, PCB wiring meets LED display technology requirements. Checking whether the surface mounting has components missing or mislabeled, and whether there is a short circuit between the component pins and burrs. Checking whether the solder joints of the straight plug are smooth and round, whether the board surface is clean and tidy, and there is no solder joint welding. Checking the flatness of the illuminated dot matrix and the consistency of the ink color. 1）Power supply test the consistency of the luminous lattice. 2）The power-on test is effective for protecting the line drive tube CEM4953. 3）Transmission capability of power test signal.